Richard Branson was in San Francisco Wednesday as part of a relaunch of Sprint's Virgin Mobile brand. After the event, he spoke with me on a range of topics, from his views on technology and President Trump to where he wants the Virgin Brand to go next. Below is an edited transcript of our conversation. What are the areas of technology that are going to do the most good and have the most change in the next few years? If I wanted to just choose one, I'd say just battery is the most important thing right now for the world. We've gotten sun (power) now to a fantastically good price, wind at a wonderfully good price, cheaper than coal. We need batteries to store that sun during night time and to be able to use that during night time. We need battery technology to fly our people across the Atlantic and around the world. That's been a slow area to get progress compared to other things? Yeah, but I am quite excited. There are a couple of breakthroughs that I think are not far off. I think it may come in time to counteract the damage that Donald Trump has done in his statements about Paris. We're crossing fingers. Is it hard to come to the Untied States under President Trump? You mentioned you have somebody in mind for Uber CEO, who might that be? I'll have to let you do some guessing, but, yeah I made a recommendation. We'll see whether they accept it. 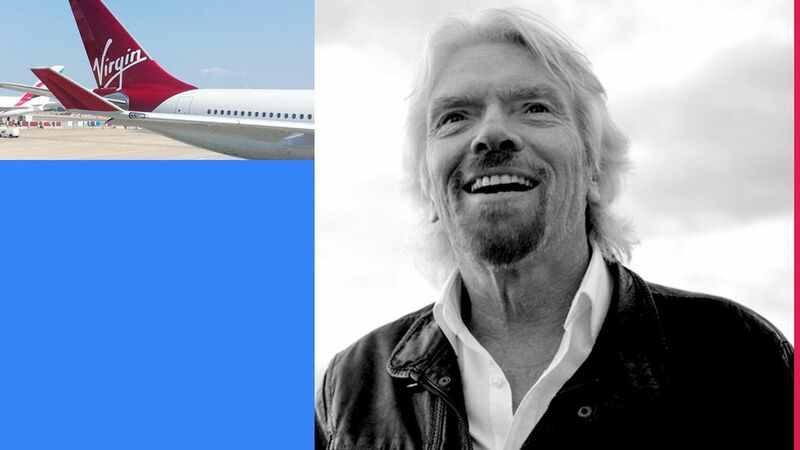 Where would you like to see Virgin go that it's not today? There are some exciting things we are developing that we will be announcing over the next two to three months which have sort-of cutting edge technology, which are tough, like space is tough. We're becoming a bit of a serial entrepreneur in not-for-profit ventures (too) and doing a lot of work on protecting the oceans, conflict resolution issues, climate change, drug reform, trying to abolish the death penalty, issues that we feel strongly about.